I’m a native Houstonian and I love everything about my city (well, maybe not the brutal summers and soul-crushing traffic). The people are friendly, diverse, and always willing to work hard to make this city better. The country saw Houstonians band together during Hurricane Harvey. In the face of great adversity and danger, Houstonians supported and helped one another, and proved that no storm is big enough to dampen this city’s spirits. During this period, one local non-profit agency, BakerRipley, answered the call to support people affected by the storm. With only a few hours notice, they opened a shelter at NRG Center to give displaced Houstonians a safe space to sleep, get a meal, and figure out their next steps towards recovery. Over the course of three weeks, BakerRipley served nearly 8,000 guests. Now that the shelter is closed, BakerRipley continues to provide long-term recovery support by helping with home repairs, giving out food and supplies at distribution centers, and connecting those affected to services so they can rebuild their lives. That’s why this year’s TXU Energy BakerRipley Turkey Trot is so important to this city. For 25 years, BakerRipley has brought Houstonians together on Thanksgiving morning to participate in the race. Funds from the event help BakerRipley to provide programs and services such as Head Start, Workforce Solutions, adult eduction, charter schools, entrepreneur development, immigration, free tax preparation, community centers, dementia and caregiver support. 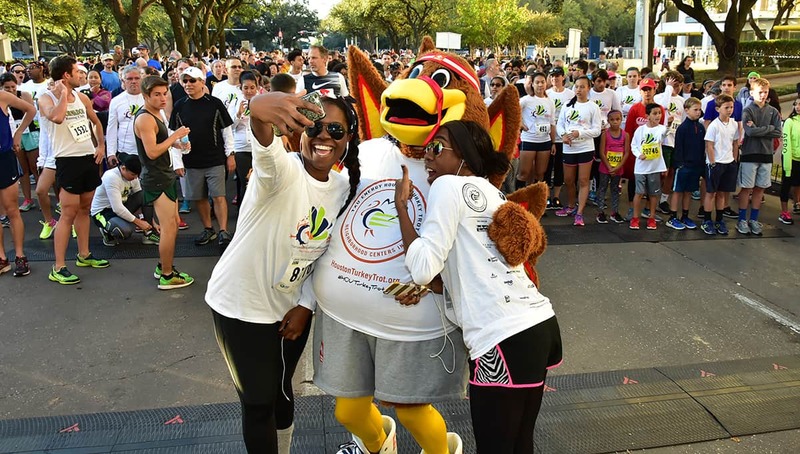 You can support BakerRipley by signing up for the TXU Energy BakerRipley Turkey Trot. Save $5 off your registration with my exclusive discount code: 17MOCHA. There is a 5K, 10K, and Kids Race. Register now to be a part of this fun, family-friendly event on November 23, 2017. Sign up for the Sleep In Registration for $35. Thank you in advance for your support. Together we can keep #HoustonStrong!